Peel potatoes and boil in salted water. Once cooked, press through a potato ricer (masher) into a bowl. Bring red lentils in water to a boil, and simmer for 10–15 minutes. Typically you need double the volume of water for the quantity of lentils. Finely chop ginger, shallots and garlic. Cut the cauliflower into florets and also chop or mince in the blender. Heat some coconut oil in a pan. Sauté ginger, shallots, garlic, cauliflower, and garam masala for 5–10 minutes, until cauliflower is cooked. Roughly chop the cashew nuts and fry in some coconut oil. 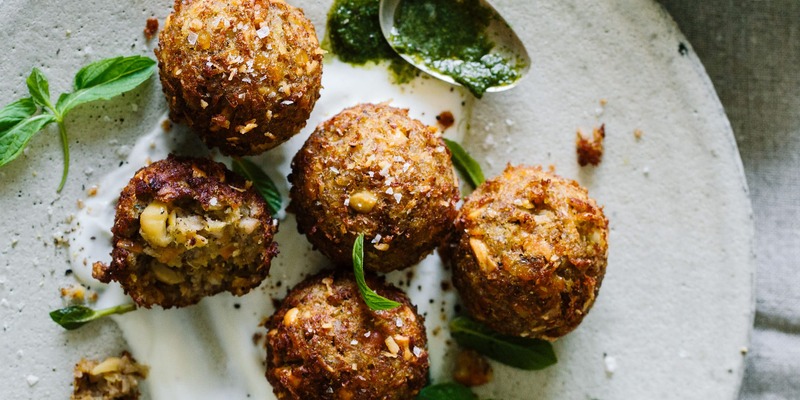 Finely chop the dates and add them with cashew nuts, lentils, and cauliflower mixture to potatoes, and mix everything. Knead well with rice flour and water, and salt to taste. With wet hands, form balls from the mixture. Deep fry in 325°F / 160°C hot oil until golden brown. Drain on a paper towel to remove excess oil. For the sauce, remove the stems from the mint and purée the leaves. 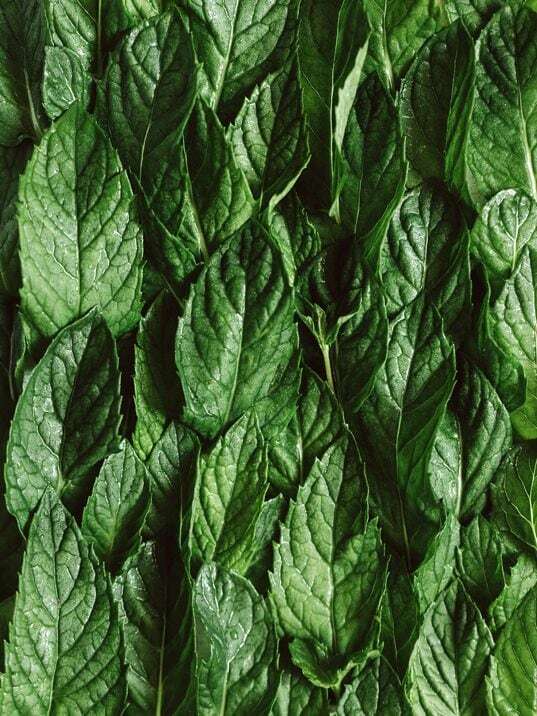 Mix mint leaves with lime juice, and rice syrup in a blender. 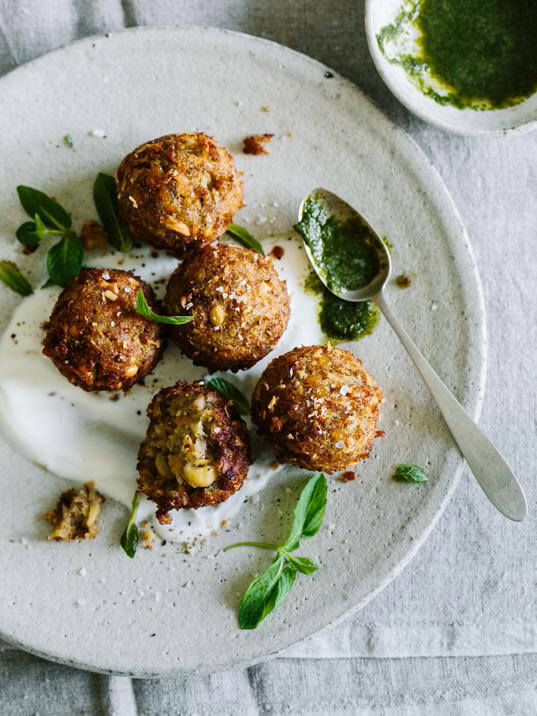 We like to eat these vegetable balls with creamy yogurt. They also taste great in an Indian curry, with a fruity hot sauce.